Happy Easter! I hope you're all having a great long weekend with your loved ones! When I got this look together, I had this image in my head of those old sixties James Bond-esque films, of a woman driving through the countryside in a classic car wearing a turtle neck top, head scarf and large sunglasses. Obviously, this look is a modern day version of that. The scarf that I am wearing is Alexander McQueen and is literally my precious. I have had this for a few years now and it's super delicate, so much so that I would imagine it being like the scarf in the film The Bodyguard [one of my favourite films ever!]. Do you remember that scene when Kevin Costner grabs a Samurai sword and throws Whitney's scarf in the air in the direction of the sword, which instantly the scarf with ease? In a roundabout way this scarf is so delicate, silky and is of a very fine texture that it also would slice with the same ease. I paired the scarf with my fave Chanel 2.55 bag and a turtle neck top. On the bottom I wore a Buttoned Front Denim Skirt that one of my friends nicely gifted to me. 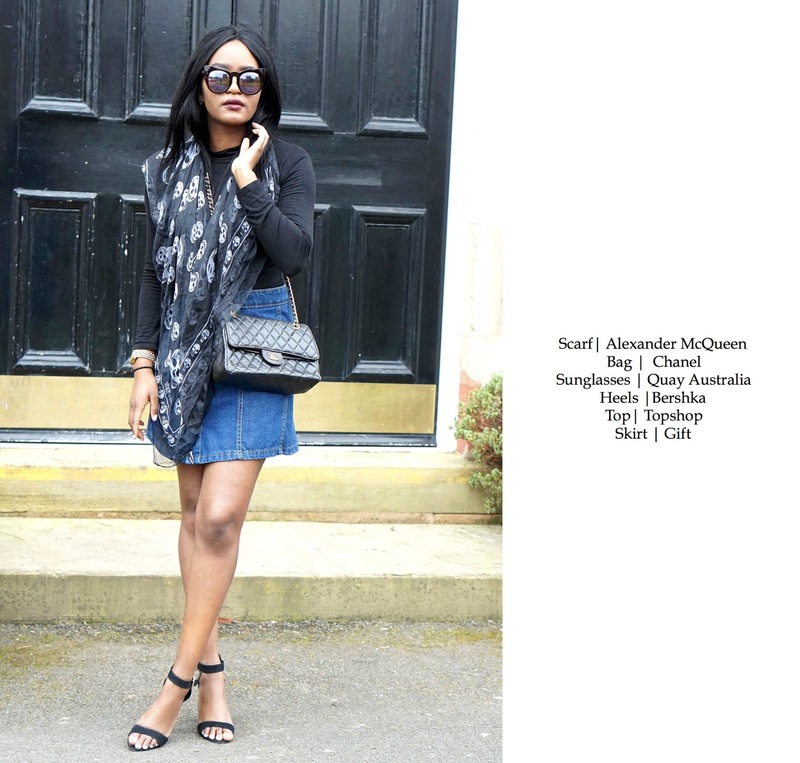 It was a strange time for me to receive it, as I had been online stalking a few button front denim skirts a few weeks backs, so I got it just in time! 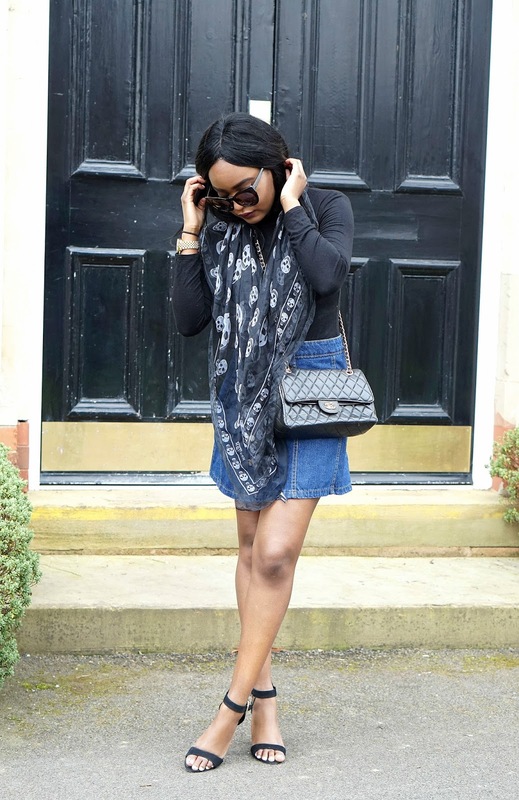 I never knew how to style my denim skirt! Now I regret giving it away! 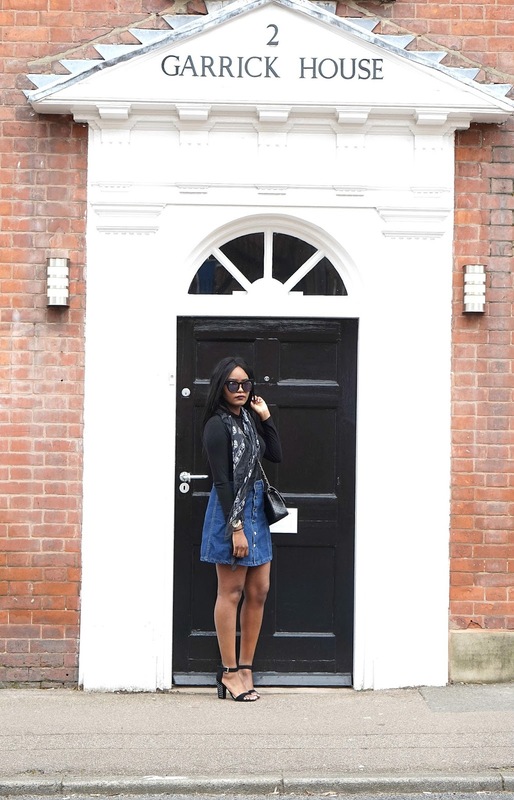 Great outfit and post!